The Ghost of Bobby Lee, Ta-Nehisi Coates, The Atlantic Magazine, April 13, 2010. CWL: This essay may help answer the question "Will be able to celebrate the 150th anniversary of the Civil War without being either politically correct or politically incorrect?" Ta-Nehisi Coates: Ken Burns' Civil War documentary makes note of the fact that General Lee was opposed to slavery. I basically took that as true, until--in all honesty--some of my commenters informed me that it, in fact, was not. One of the saddest, and yet telling, aspects of the War, for me personally, is that on the two occasions when Confederate troops headed North, they kidnapped free blacks and sold them into slavery. Ditto for black soldiers who were captured and "lucky" enough not to be killed. Anyway, if you have a moment check out this lecture a reader was kind enough to send to me. At about the 55:00 mark, Elizabeth Brown Pryor talks about Lee's relationship to slavery, and more interestingly, how the myth that he was somehow anti-slavery came to be. It was sad to hear frankly. If the war actually weren't about slavery, I think all our lives would be a lot easier. But as I thought on it, my sadness was stupid. What undergirds all of this alleged honoring of the Confederacy, is a kind of ancestor-worship that isn't. The Lost Cause is necromancy--it summons the dead and enslaves them to the need of their vainglorious, self-styled descendants. Its greatest crime is how it denies, even in death, the humanity of the very people it claims to venerate. This isn't about "honoring" the past--it's about an inability to cope with the present. ...A geographical line has been drawn across the Union, and all the States north of that line have united in the election of a man to the high office of President of the United States, whose opinions and purposes are hostile to slavery. He is to be entrusted with the administration of the common Government, because he has declared that that "Government cannot endure permanently half slave, half free," and that the public mind must rest in the belief that slavery is in the course of ultimate extinction. This sectional combination for the submersion of the Constitution, has been aided in some of the States by elevating to citizenship, persons who, by the supreme law of the land, are incapable of becoming citizens; and their votes have been used to inaugurate a new policy, hostile to the South, and destructive of its beliefs and safety. This is about a lancing shame, about that gaping wound in the soul that comes when confronted with the appalling deeds of our forebears. Lost Causers worship their ancestors, in the manner of the abandoned child who brags that his dead-beat father is actually an astronaut, away on a mission of cosmic importance. I know how this goes. For us, it's coping with the fact that people who looked like you sold you into slavery. It's understanding that you come from a place that was on the wrong side of the Gatling gun. It's feeling not simply like one of history's losers, but that you had no right to win. The work of the mature intellect is to reconcile oneself to the past without a retreat into fantasy--in either direction. Claiming to be the descendant of kings and queens is just as bad as claiming to be thankful for the slave trade. By 1860 there were approximately 4,000,000 slaves in the United States, the second largest slave society--slave population--in the world. The only one larger was Russian serfdom. Brazil was close. But in 1860 American slaves, as a financial asset, were worth approximately three and a half billion dollars--that's just as property. Three and a half billion dollars was the net worth, roughly, of slaves in 1860. In today's dollars that would be approximately seventy-five billion dollars. In 1860 slaves as an asset were worth more than all of America's manufacturing, all of the railroads, all of the productive capacity of the United States put together. Slaves were the single largest, by far, financial asset of property in the entire American economy. The only thing worth more than the slaves in the American economy of the 1850s was the land itself, and no one can really put a dollar value on all of the land of North America. These were the kind of forces at work in his world, and I'm not convinced we have the intrinsic right to expect someone like Lee to oppose them. Likewise, I may think that it was sinister for people who "looked like me" to sell me into slavery, but that presumes an expectation of racial unity which almost certainly didn't exist at the time. Again, it summons the dead to do the work that I would shy away from. I think this boils down to the problem of nationalism, and where we find our heroes. It isn't like Southerners are devoid of people who were courageous in all aspects. 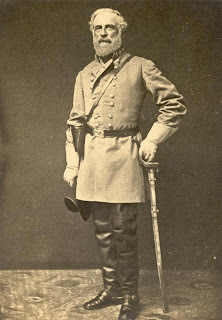 There's the great Virginian patriot George Henry Robert Thomas, who goes from slave-master in waiting, to leading black troops in brilliant military campaigns in Tennessee, and in his last days defends the rights of freedman. There's Elizabeth Van Lew, who emancipated all her slaves before the War, and used them as part of a Union spy network in Richmond, the Confederate capitol. There's "The Boat-Thief" Robert Smalls, a slave who stole Confederate transport steamer, filled with armaments, and sailed it to Union lines. There's Andre Callioux, a manumitted slave turned Union soldier, martyred at Port Hudson in a kamikaze-like charge on the Confederate works. And a century later, there's Martin Luther King, arguably the modern founding father of this America. He was a product of The South, and his moral judgement didn't end at the Mason-Dixon line. Finally, there's the question of how we claim ancestors, a question that is more philosophical than biological. Africa, and African-America, means something to me because I claim it as such--but I claim much more. I claim Fitzgerald, whatever he thought of me, because I see myself in Gatsby. I claim Steinbeck because, whether he likes it or not, I am an Okie. I claim Blake because "London" feels like the hood to me. And I claim them right alongside Lucille Clifton, James Baldwin and Ralph Wiley, who had it so right when he parried Saul Bellow. The dead, and the work they leave---the good and bad--is the work of humanity and thus says something of us all. And in that manner, I must be humble and claim some of Lee, Jackson, and Forrest. What might I have been in another skin, in another country, in another time? Fast Traffic Causes Monument Damage, Scot Andrew Pitzerr, Gettysburg Times, September 22 2010. 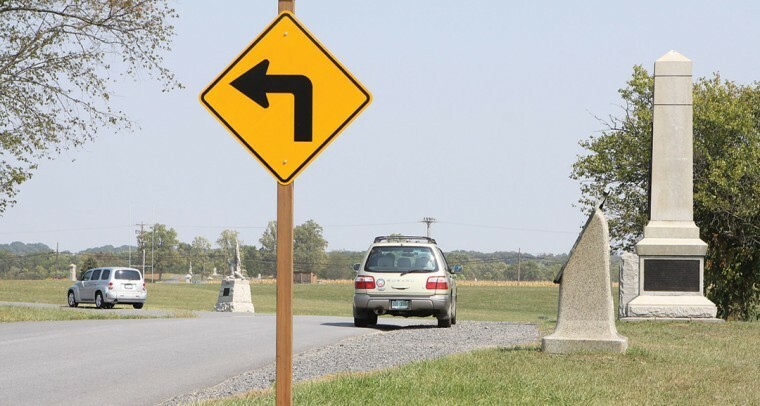 Careless driving has resulted in monument damage at Gettysburg National Military Park, leading Superintendent Bob Kirby to announce that memorial relocation is being considered. Kirby also reported that new signage and traffic control devices, such as bumper strips, are planned along battlefield roadways, to deter further collisions between vehicles and monuments. “It’s a sad and continuing saga,” Kirby said regarding the distracted driving. “There are people out there texting while driving, and not focused on the road.” “We may be moving monuments out of the trajectory of vehicles,” added Kirby. The Pennsylvania 74th Monument along West Howard Avenue, just northwest of Gettysburg, is under consideration to be relocated farther from the roadway, near its current position. According to the Park Service, the monument — which sits about 10 feet back from the road — has been struck repeatedly over the past five years by wayward drivers. Motorists damaged the monument again this past summer. “We are looking at some additional traffic control devices along Howard Avenue to keep visitors from hitting the 74th Pennsylvania Monument,” Kirby said Sept. 16, during an NPS meeting. The monument sits near a bend in the roadway, dubbed “Dead Monuments Curve” by park guides and historians. One new sign was recently installed along the road, warning motorists about the curve. “It’s still slightly off its base from the last hit,” noted GNMP spokeswoman Katie Lawhon. Park officials explained that they would not relocate the 74th Pennsylvania Monument far from its current location, as its placement denotes an historically-accurate position of troops during the Battle of Gettysburg in 1863. The monument would be set back farther from the road. Many local motorists use West Howard Avenue as a shortcut from Carlisle to Mummasburg road, and surpass it posted speed limit of 25 mph. Tourists using the road for the first time are often unfamiliar with its sharp curve, where the Pennsylvania 74th Monument is positioned. Kirby informed the park’s advisory commission Sept. 16 that the NPS is considering placing rumble strips atop West Howard Avenue, to slow down traffic entering the curve. The curve is home to about a half-dozen monuments, including the 74th Pa. Memorial. Lawhon noted that the “only other monument the park is considering taking these protective measures” for — such as relocation — is the Battery K, 5th US Artillery monument on Hunt Avenue, west of the Baltimore Pike. Image and Text Source: Gettysburg Times, September 22, 1010. The Lineup: The World's Greatest Crime Writers Tell The Inside Story of Their Great Detectives, Otto Penzler, editor, Little Brown Publishers, 2009, 406 p., $25.95. For CWL, Michael Connelly and Robert Crais are two authors whose stories were very familiar. The Lineup may not have your favorite dtective/author. For CWL Matt Scudder/Lawrence Block, Nathan Heller/Max Allan Collins and Bernie Gunther/Philip Kerr were missing. But having authors describe their work generated interest in two detectives that I had not yet read. Now CWL has two new authors novels, Ian Rankin and John Connolly, to enjoy. You might find your favorite detective fiction author confessing in The Lineup. Others you have heard of and might be curious about their creations. 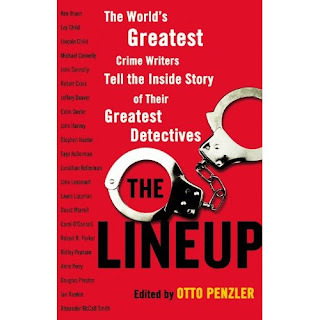 The Lineup covers these detectives by their authors. Aspiring fiction writers are well served by this collection of authors relating the inside dope on their creations. The H. L. Hunley: The Secret Hope of the Confederacy, Tom Chaffin, Hill and Wang Publishers, 2008, 352 pp., $26.00. The discovery of the H. L. Hunley in 2000 has sparked a new wave of literature among historians and archaeologists as they examine the ship's remains. Tom Chaffin has combined evidence from both fields in his book, The H. L. Hunley. In this work, Chaffin has united New Orleans, Mobile, and Charleston while discussing the construction, testing, and fates of the vessels associated with the H. L. Hunley. Chaffin begins by discussing the evidence he consulted, presumably so that others can assess his argument and investigate his sources. While such a means of proceeding is potentially useful, the cursory endnotes limit what readers can discover about sources concerning the H. L. Hunley. Orleans machine shop, to manufacture the CSS Planter, which they wished to use as a privateer. The CSS Planter, the only submersible to receive a letter of marque and the official designation of "CSS," sank in New Orleans before Commodore David Farragut and the West Gulf Blockading Squadron reached the city in April 1862. The experience gained from the Planter aided the men as they moved to Mobile and, with new partners, built two more submersibles. The American Diver sank nearly a year later while undergoing tests in Mobile Bay. Undeterred, they launched their third endeavor, the Fish Boat, which capsized just weeks after its arrival in Charleston in August 1863. After being raised in September, the vessel was rechristened H. L. Hunley. On October 15, 1863, it promptly sank again, claiming the lives of Hunley and his crew. Raised yet again, the H. L. Hunley fell under the command of Lieutenant George Dixon in November. Under Dixon, the H. L. Hunley left Charleston Harbor on February 17, 1864 and successfully attacked the USS Housatonic, sinking the blockader in roughly the same spot where the CSS Chicora and CSS Palmetto State had briefly broken the Federal blockade little more than a year before. The circumstances of H L. Hunley's disappearance after its celebrated sinking of the Housatonic has baffled individuals ever since. The third section of Chaffin's book discusses the H. L. Hunley's image since the close of hostilities, noting not only how those during the war remembered the ship, but also how others have represented the vessel since. 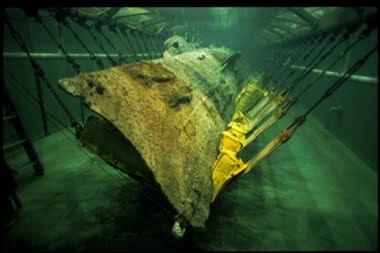 Chaffin's final two chapters cover the discovery of the H. L. Hunley in July 1995 by Clive Cussler, its raising in 2000, and what restoration by archaeologists has revealed about the vessel's final hours. These chapters provide useful information for those interested in Civil War memory and public history, as Chaffin discusses not only the ship's discovery but also what modern archaeology has revealed about the legends concerning the H. L. Hunley and her crew. Throughout his book Chaffin dispels many misconceptions surrounding the H. L. Hunley and its builders. The relationship between Hunley, McClintock, and Watson with local military commanders emerges as one of Chaffin's key topics. According to Chaffin, Admiral Franklin Buchanan did not care for the _American Diver_ and only praised the Fish Boat to accelerate its departure from his jurisdiction (pp. 113-114). Although General Pierre Beauregard thought the ship showed promise when it arrived in Charleston on August 13, 1863, he seized the vessel within two weeks of its arrival and placed a military crew on board. Chaffin's Charleston chapters discuss civil-military relations in the context of who should outfit and operate the vessel. Beauregard had enjoyed good relations with the civilian contractors building the _David _torpedo boats, but in the six months that the H. L. Hunley operated in Charleston, he installed four different commanders, including both military officers and civilians. Nonetheless, Chaffin believes that Beauregard held out hope for the vessel's potential; such hopes indicate a real interest in technology and its advancement. During his discussion of these issues, Chaffin misses an opportunity to compare the Fish Boat/H. L. Hunley with the David-type torpedo boats already built or contracted for in Charleston under Beauregard's command. He devotes little attention to the David and only briefly mentions its attack on the USS New Ironsides (pp. 162-166). He places the H. L. Hunley within Beauregard's overarching strategy towards the naval defense of Charleston, but does not adequately discuss it in relation to existing vessels or to those under construction. Chaffin could also do more to provide context for Charleston's defense before August 1863; he has little to say about the sortie of Confederate ironclad gunboats CSS Chicora and CSS Palmetto State in January 1863 and the attack on Charleston Harbor in April 1863 by Union monitors. Utilizing the latest archaeological findings from the H. L. Hunley research team at the Warren Lasch Conservation Center in North Charleston, South Carolina, Chaffin wades into controversies surrounding the submersible and her encounter with the USS Housatonic. For instance, contemporary descriptions, specifically those made by men who had first-hand knowledge of the submersible, reported the ship's size as anywhere from thirty to forty feet in length (p. 230). This disagreement has been easily resolved since the discovery of the vessel has revealed its length as forty feet and its beam as forty-two inches. The discovery of Lieutenant George Dixon's twenty-dollar coin amongst the artifacts resolved different disputes. The coin had deflected a bullet at the Battle of Shiloh, saving Dixon's life. Archaeologist Maria Jacobsen found the coin in May 2001 with the tell-tale indentation and an engraving that Dixon had made commemorating his lucky escape. Examination of remains through the use of DNA positively identified the entire crew on board the H. L. Hunley, including Dixon, definitively establishing that he went down with the vessel. A computerized reconstruction of Dixon's face that was based on his remains refuted another story attached to the coin. Queenie Bennett, a Mobile woman reputed to be Dixon's sweetheart, was said to have given him the coin. However, this reconstruction did not match a photograph in the possession of the Bennett family that purportedly showed Dixon and Queenie Bennett together. 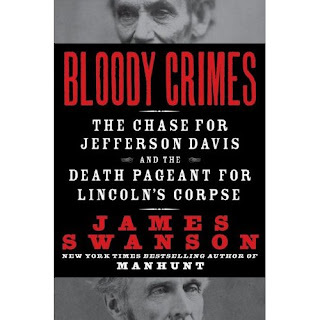 Bloody Crimes;The Chase for Jefferson Davis and the Death Pageant for Lincoln's Corpse, James L. Swanson, William Morrow Publisher, 480 pages, $27.99. The spring of 1865 was one of the most momentous chapters in an era filled with great drama. It was a season that saw not only the end of America’s bloodiest war and the beginning of the nation’s painful reconciliation, but also two dramatic spectacles that symbolized the emotional core of the conflict. In April 1865, the future of the Confederacy was in grave peril. The capital, Richmond, could no longer be defended and could fall to Union armies within days. 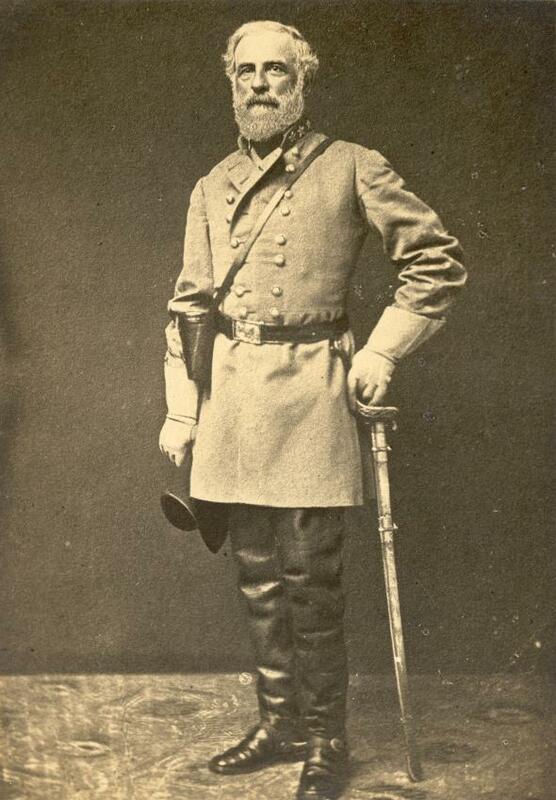 On the morning of April 2, Confederate president Jefferson Davis received the telegram from General Robert E. Lee: There is no more time—the Yankees are coming. That evening, shortly before midnight, Davis boarded a train from Richmond and fled. But in two weeks' time, John Wilkes Booth would assassinate the president, and the nation was convinced that Davis was the mastermind of the crime. 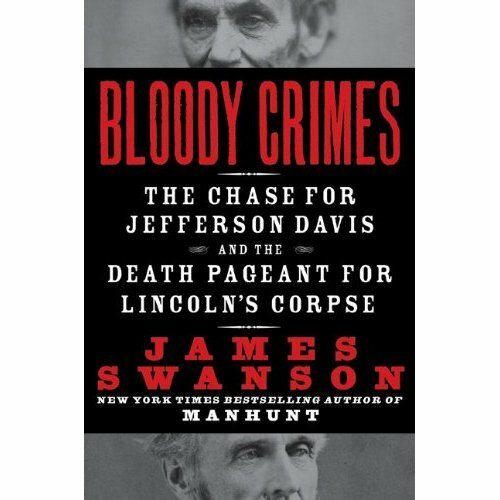 In Bloody Crimes, James Swanson, the author of Manhunt: The 12-Day Chase for Lincoln’s Killer, recounts the events surrounding the stories of these two fallen leaders. No longer merely a traitor, Davis became a murderer, a wanted man with a $100,000 bounty on his head. Over the course of several weeks, the Union cavalry led an intense and thrilling chase through the Carolinas and Georgia. Davis’ final journey into captivity, with its moments of great suffering and intense drama, transformed him into a martyr of the South’s Lost Cause—and, in the years after the war, his stock rose even higher in the former Confederacy. At the same time, another man was also undergoing his last journey. Abraham Lincoln’s final sojourn began on April 19 after the White House funeral. From there a solemn procession escorted him to the Capitol rotunda, where tens of thousands of mourners viewed him in death. This was just the beginning. On April 21, one week after he was shot, 400 soldiers escorted him to the Baltimore and Ohio railroad depot and placed him aboard the special train that would carry him home on the nearly 1,700-mile trip to Springfield. By the time it was over, Lincoln’s corpse had been unloaded from the train 10 times and placed on public view in all the great cities of the North between Washington and Springfield, making it the largest, most elaborate, and most magnificent funeral pageant in American history. At once suspenseful and poignant, Bloody Crimes tell the stories of two fallen leaders counterpoised, their final journeys shaping their legends among a wounded nation and throughout a scarred landscape. 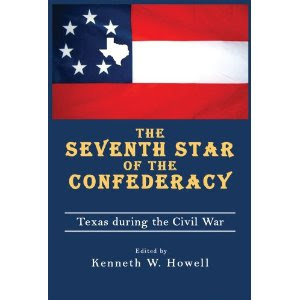 Seventh Star of the Confederacy: Texas during the Civil War, Kenneth W. Howell, editor,University of North Texas Press, 348pp, 2009, $34.95. 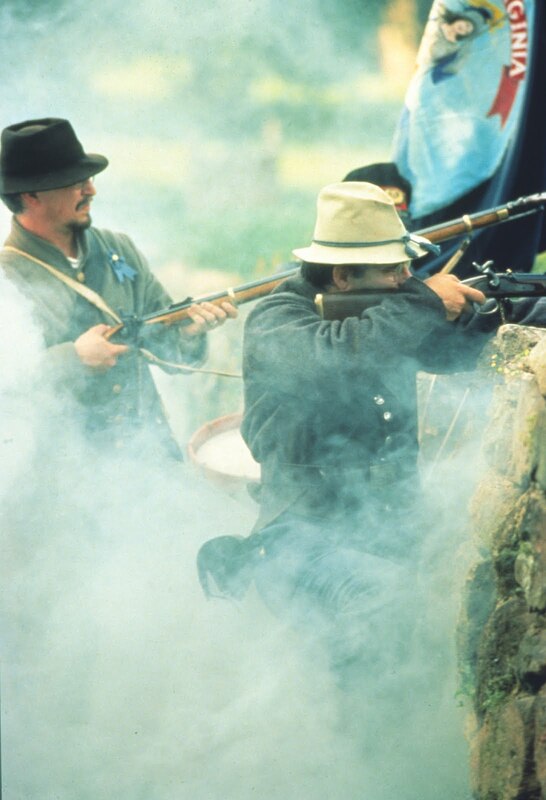 Almost 150 years since the guns fell silent, the American Civil War continues to fascinate. Countless works on the major battles and participants fill the shelves of libraries, offices, and studies, and the desire to examine the seminal moment in American history never wanes. However, much of this attention examines the Eastern theater or the generalship of Ulysses S. Grant and Robert E. Lee. Kenneth W.Howell's work, The Seventh Star of the Confederacy, attempts to correct this focus. Howell's book focuses on Texas during the Civil War and incorporates nearly two decades of research since the publication of Ralph Wooster's Lone Star Blue and Gray: Essays on Texas in the Civil War(1995). In this collection of seventeen essays, Howell highlights aspects of the Lone Star State while challenging the notion that Texas was nothing more than an insignificant backwater with little relevance to the study of the Civil War. The seventeen essays are broken up into four parts. Part 1 involves a historical overview of Texas and the Civil War, including a very informative and useful historiographical essay by Alwyn Barr and a brief overview of the Lone Star State during the Civil War by Archie P. McDonald. Part 2 contains essays chronicling battles taking place in Texas while part 3 discusses military units from the state. Included in the fourth part is a hodgepodge of subjects, such as the Confederate governors, slaves during the war, and Union dissent. Quite possibly the strongest part of the book is Barr's historiographical essay. For years, students of Texas history and the Civil War will reference this essay, which highlights the major studies on Texas during the Civil War published in the last two decades. Also important are essays by Linda S. Hudson and John Gorman, which examine the Knights of the Golden Circle in Texas before the war and the frontier defense units during the conflict. These works go beyond the typical discussions of enlistment and fighting, too often seen in unit histories, and examine the composition of the units through extensive use of the census roles. Such tools allow historians to personalize the war by adding a human aspect that in the past was wanting. Despite the many strengths of the work, there are a few problems with it as well. Several essays in part 3, which comprises studies focusing on battles within Texas, could have been condensed into one, all-encompassing essay. For instance, Donald Willett's piece on the Union occupation of Galveston, the one by Edward T. Cotham Jr. on the failure of the Union to capture Texas, and Charles D. Spurlin's examination of the Yankees' arrival on the coastal bend, all could have made up one essay. Doing so not only would have captured the various attempts by the North to invade Texas, but also would have provided space for subjects that require more examination, such as Texas's economy during the war or the dissolution of Confederate forces in Texas at the end of the conflict. Covering the latter issue would have strengthened the work, for, at times, some of the essays seem like nothing more than a rehash of Wooster's book. Bruce A. Clasrud's pieces on slaves in Texas during the Civil War. The one essay that seems out of place is James M. Smallwood's about the causes of the Civil War. Not only does it fail to incorporate Texas into the events of the 1850s, but the author also turns the essay into a polemic, something unnecessary in a scholarly work. Although it does not replace Wooster's work, Howell's edited volume serves as a complement. What Howell has produced is a collection that covers a broad range of subjects. But the importance of these essays goes beyond simply being useful and informative. The Seventh Star of the Confederacy achieves its goal of highlighting the people and events of Texas during the Civil War. For that reason alone, this work should be a welcomed addition to the shelf of any student of the Civil War. CWL---The Civil War's Women Nurses: Humanitarian. Moral. But Professional? 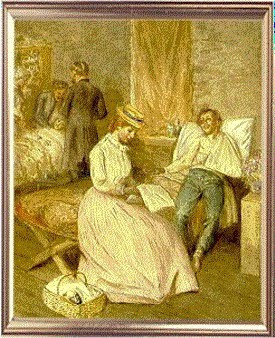 The Inhospitable Hosptial: Gender and Professionalism in Civil War Medicine, Jane E. Schultz, Signs: Journal of Women in Culture and History, 17:2 , pp. 363-392. In military hospitals, personal interactions of brought forth coping strategies by women. Their avoidance of the 'medical models of professionalism was a protest against male authority' that after the war were embraced. After the war in hospital training schools placed nurses at the bottom of the hierarchy. Obedience and discipline were principles were emphasized in the curriculum. Dissent and protest was not encourage among nursing students. Schultz focuses not on the post-war emerging professionalism of nursing, but the behavior of nurses that emerged as conflicts arose between male surgeons and female attendants regarding corruption, bureaucratic inhumanity and morality in Civil War hospitals. (365-366). News---Is Celebrating The Civil War's 150th Anniversary PC? Call the whole thing off?, Allen C. Guelzo, Gettysburg Times, August 31, 2010. Last August, I did a quick survey of the various plans under way for the 150th anniversary of the Civil War. What was unnerving was how little seemed to be taking shape. Unlike the Civil War Centennial in 1961-1965, no national commission for the Sesquicentennial had been created. Only ten states had formed state Civil War Sesquicentennial commissions, but many of them were low-visibility roosts for political appointees. And all of it was haunted by the gaffes committed during the Civil War Centennial. One year has clicked us closer to the Sesquicentennial - a year that saw the anniversary of John Brown's Raid and the nomination of Abraham Lincoln for the presidency - and sad to say, we are not much nearer an adequate celebration of the Civil War's 150th than we were twelve months ago. A proposed bill for the establishment of a national Civil War Sesquicentennial Commission remains dead in committee. There are now seventeen states with official state Sesquicentennial Commissions, or which have delegated Civil War Sesquicentennial responsibilities to state historical agencies. But a bill to organize a New York 150th Anniversary Commission is still languishing in the state senate finance committee. The governor of Mississippi appointed a state "Sesquicentennial of the Civil War Commission," but no funding was forthcoming from the legislature, and the Commission's second meeting in November of 2009 had to be scrapped for want of a quorum. Georgia has had a standing Civil War Commission since 1993, but its activities are geared largely to promoting heritage tourism. The Georgia Historical Society has undertaken an inventory "of existing historical markers that focus on Civil War subjects." But $500,000 which had been earmarked for developing Civil War Sesquicentennial events by the Georgia Department of Economic Development was axed by the Georgia legislature this year, and the Georgia Civil War Commission has no funding available at all for 2011. The most ambitious state initiatives have been those of Virginia and Pennsylvania. With a $2 million budget, the Virginia "Sesquicentennial of the American Civil War Commission" has created a 2-DVD production, "Virginia in the Civil War: A Sesquicentennial Remembrance," and will unroll the second of its planned seven Signature Conferences next month at Norfolk State University around the theme of "Race, Slavery and the Civil War: The Tough Stuff of American History and Memory." 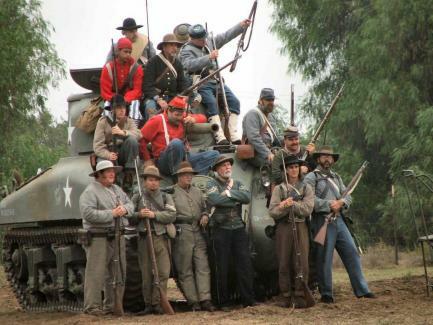 The Pennsylvania Civil War 150 is equipping a 53-foot-long tractor-trailer with a "Civil War Road Show" which will make exhibition stops in all 67 Pennsylvania counties. And both Adams County and Gettysburg College have formed Civil War Sesquicentennial committees. But even these observances are more a glass half-empty than a glass half-full. The Civil War Centennial had the misfortune to occur at the apex of the Civil Rights Movement, and by trying to limit its gaze to what it supposed would be "safe" subjects - battle re-enactments, the re-union of North and South - the Centennial Commission communicated instead a serene indifference to the racial tensions which were rising all around the nation. The Centennial effectively convinced black Americans that the Civil War was not "their" story, and fostered a sense of what one commentator called "emotional alienation" from Civil War history. That alienation, in turn, convinced many cautious white Americans that the Civil War was either a sleeping dog which would be best left to lie, or that it was going to have to be dramatically re-written to downplay the battle-and-reunion script. Trying to retro-fit the Sesquicentennial to avoid these shadows has not, so far, worked very well. The first of the Virginia Sesquicentennial Signature Conferences (at the University of Richmond), which tried to focus on John Brown and Harpers Ferry rather than Marse Robert and Jeb Stuart, drew a packed house of 2,000 people - but not more than a handful of African Americans. Ohio's Sesquicentennial Civil War Advisory Committee proclaimed its determination "to include a variety of perspectives and a diversity of viewpoints" in order to "embrace the inclusive story of the Civil War." But the Commission was flummoxed at its July meeting by just how "inclusive" it should be. "Many Ohioans didn't fight for the Union," it was objected, "they fought for or supported the South;" so, commissioners asked each other, "do we want to include this aspect of the legacy?" There is a much to celebrate in the 150th anniversary of the Civil War. There is also a great deal of anger and disappointment, and in some places, downright contempt. The Civil War re-enactment community mistrusts academic Civil War historians; the academics, in turn, are regarded by the public historians as gate-crashers of their collections and exhibitions; public historians suspect relic and memorabilia dealers of piracy; and the general public seems interested in history only when it's painted-up in bizarre, horror-movie formats. These are all obstacles in the path of a worthwhile Sesquicentennial. But the greatest challenge of the Sesquicentennial will be how to synthesize the Civil War's "old" story of battles-and-reunion with the Civil War's "new" story of race and gender. Until that begins to happen, and until the competing re-enactment, academic, and public empires decide that they all have a common stake in the Sesquicentennial, state legislatures, historical societies, and organizations are likely to take the safe road, and call the whole thing off.